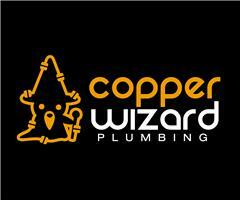 Copper Wizard Plumbing - Bathrooms, Plumber based in Effingham, Surrey. Hello and thank you for considering our company for your plumbing / tiling needs. We are a small son (plumber) and father (tiler) business who treat all our customers as we would like to be treated. We make sure that we leave your property as clean & tidy as we find it. Often cleaner. (Please take a look at the vast amount of photos in our gallery). When you use our services, you can be assured of our best attention at all times, but please be aware, we regularly take bookings for several months in advance, so please get in touch as soon as you think you may need us, as (baring emergencies) we only work on one project at a time, and add clients to our diary on a strictly first come first served basis. Please take a look at the photos in our gallery, where you will see some of the work we have completed recently. We are grateful to our previous clients for the wonderful feedback they have left, other than the standard of service and workmanship we provide, we have no input into it, and so their kind words are gratefully received. Thank you. We look forward to hearing from you, and adding your name to our list of existing clients! Effingham, Bookham, Leatherhead, Epsom, Reigate & Redhill, Dorking, Horsley and Guildford, Surrey. Joshua & Marcus Trevor....at your service!